The Cultural Center is a rural hub for creativity, community vitality, and lifelong learning in the arts. The Cultural Center connects people to artists and rich cultural experiences in rural Minnesota, celebrating the local and being a window to the world. 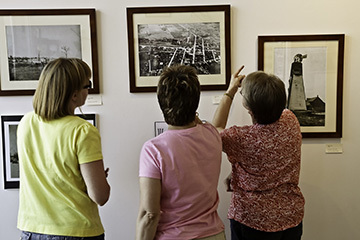 We offer visitors intimate opportunities to encounter art and artists in our 80-seat concert listening room, two art galleries in a historic building, a gift store featuring local artists, an artist residency program, a sculpture park, and a folk school where everyone can learn to practice a variety of fine and folk arts.